Renovating and designing a new hotel is a daunting task; even more so when you’ve decided to create a chic, boutique place to stay. How do they do it? Owners of boutique hotels often transform buildings no-one would touch into hotels that everyone wants to go to. It takes a lot of hard work, planning and an eye for design and detail to create a successful boutique. Imagination is a key skill when it comes to creating a stunning small hotel. To see a building that is either derelict or in need of substantial renovation, and know that you can transform it into a stylish, desirable place to stay is a talent that not many people have. You need to be able to see the arrangement of the guest rooms, the provision of public spaces, the kitchens and offices and the outdoor spaces. If you don’t have a vision, it can be very difficult to pull off a successful make-over. Although many boutique owners are first-time hoteliers, many have either hospitality or design experience. This helps to ensure that every angle is considered and that as much attention is paid to the running of the hotel as to its style. Understanding the market you are trying to attract, and designing your hotel with that in mind means that you are more likely to be successful. Equally, a knowledge of which design ideas work and which don’t is invaluable when creating a boutique hotel. Design is a key factor in turning a basic small hotel into an individual chic hotel and you need the experience to get it right first time. Transforming a building into a hotel is a long, hard job. You need determination, focus and strict controls to ensure that everything is finished as close to your deadline as possible and within your budget. Research at the beginning of the project should allow you to set realistic deadlines and financial plans which in turn will contribute to the success of your project. There are bound to be times when things go wrong, but determination and a clear vision of the end product will help you succeed. Some of the most successful boutique hotels are those where the personality of the owner or designer shines through. 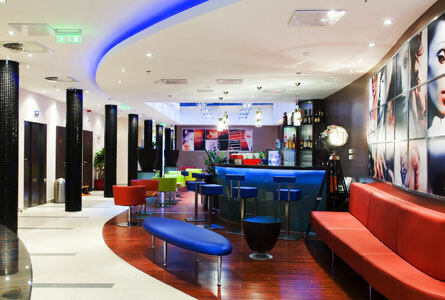 This is what gives these hotels their characteristic individuality, which attracts a lot of guests and repeat visitors. Personality can be evident in themed rooms, the choice of art, music or food and in the way that guests are treated during their stay. Never underestimate the importance of a hotel’s personality when it comes to marketing and occupancy rates.